*Please note that this schedule may be subject to change without prior notice. Do you have available slots on TPMC and SMC? Hi, Mr. Mark. Yes, we still have slots for them. You may register at any time before they start. Do I forward my payment directly to the UP ISSI office? And where do I send my scanned OR? Many thanks! Hi, Christian. You can either pay in our office or deposit your payment at our Landbank checking account. Just don’t lose your deposit slip if you prefer the second option. Do you have available slots for AfNA? And do you have brochure for this? Yes, we still have slots for AfNA. You can click the brochure for this by clicking AfNA under “Courses”. Hi! When will there be a schedule for Manager’s Course? Hi. MC is already ongoing. The next will be in 2017, possibly sometime in January. Hi Ian! I am also interested to take MC. When will the details for 2017 schedule be posted in the site? Thank you in advance. Hi. We will publish the 2017 training calendar soon. Hi! May inquire If you will you still offer courses on Food Safety and Quality Practitioners? Hi, Ms. Caitlin. Please write a formal letter of request to: Engr. Ma. Luisa S. Lee, Head of the Training Division of UP ISSI. Thanks. Hi, may I know of the 36th Credit Appraisal and Monitoring (CAM) Course on AUgust 8-12 if will push through or not. Hi. Please contact CAM’s program manager, Ms. Bless Clerigo: bess_up05@yahoo.com. Or call her at 9287076 to 79 local 176. For the SYOB, can we pay via installment? Thank you. Hi. We do accept installments. You can pay 50 percent downpayment (5,500 pesos) on or before the first day of the course (17 September 2016), and the balance to be paid in installments until the middle of the course or on 8 October 2016. How to enroll for SYOB course and how can i give the 1st payment? Coz i wanna make it installment. Thanks! Hi. Please read this link about how you can pay for our training programs as well as our policy on paying in installments. Hi, I am interested with your Advanced Leadership and Management Development Course (ALMA). Is it possible to get a course outline and content and methodology, as well the facilitators background. hi i want to enroll in SYOB this coming Sept. 17. Pupunta ba ako mismo sa UP Diliman para mag pa register? Hi. The last SMC has already ended. The next run will be next year. Hi! Do you still have available slots for the TQM course? Thanks. Hi. Yes, there are still slots available for our TQM course. Hi. Sorry about that. You can view the course descriptions by clicking each course here. May I have a copy of the course description of Productivity through Effective Supervision (PES) Course? Are there other expenses during the course? Are there pre-qualifications required of a trainee? Any other info helpful to a first timer? Hi. You can find it here. There are no other expenses or pre-qualifications for the course except for those expressly indicated in the course description. Thank you. Hi. So sad you missed the last run of SYOB. We will offer it again in January. 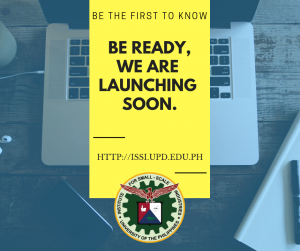 Wait for our announcement soon. Can we have a soft copy (thru email) of the 58th PES Course scheduled on 22 October to 26 November? Thank you. Hi. You can download it here. It’s just the same as what we send through our emails. Hi, Ms. Rina. The requirements are: payment of the tuition fee, attendance and completion of the Integrated Organizational Survey and Assessment report. Do you have brochure for Strategic Human Resources Management? When will be the next Business Continuity Planning (BCP) Seminar? Hi. We didn’t schedule any BCP seminar for this year. Currently we run it as a contracted program with our partner. Hi. What time does the FINEST course usually start and end? Hi. It usually starts at 9 a.m. and ends at 5 p.m.
Do you have training schedule that is continuous? People from the provinces cannot attend the Saturday only courses. Hi, sir. Unfortunately, we only have Saturday courses. We do sometimes run courses in the provinces through the arrangement with our partners. Hi. Good day! 🙂 Will there be any Sunday classes? Unfortunately, we only have Saturday classes. Hi, I am interested in taking the Manager’s Course. May I ask for the line-up of the resource persons for the course? Thank you. HI? Do you still have available slots in AFNA course?tThanks! Hi. 49th AfNA, which will start on 22 April 2017, is still wide open. I am interesrted to attend the 8th Advanced Leadership and Management Course (ALMA) which is scheduled on March 18 to April 29, 2018. Do you still have available slot for one participant? If positive, do you allow payment on site? I work in a government office from 8am to 5pm and it is difficult for me to leave and go to UP-ISSI to pay the registration fee. Hi, Ms. Beata. Yes, there are still slots available for ALMA and yes, you may pay on the first day of the program. Good Day! I am interested in the courses you are offering. May I ask if you have a course outline and content of the following courses? Yes, we still do have slots for AfNA. Do you have an upcoming Monitoring and Evaluating Programs and Projects seminar workshop? Please let me know. Currently we have no courses related to MEPP that we offer to the public. However, we conduct it in our programs that were contracted to us by our partners. Do you already have the 2018 training calendar? You may check this link (2018 Training Calendar) for the 2018 Training from June to November schedule. When will you posting the update on 2018 Training Calendar? Thanks! You may check this link (2018 Training Calendar) scheduled for June to November 2018.
when is your next batch of AFNA? Weekend schedule. I am from Bacolod City, Negros Island and I am interested in joining your 1st Good Manufacturing Practices (GMP) on “Nov 7 – 9” which I understand to be three(3) days from November 7 to 9, but the DURATION/FEE says “6 Wkdays / TTh / Php 3,000”. May I clarify the exact schedule, please? The correct schedule is: 7-9 Nov., Wed-Friday, 3 Weekdays. Do you offer training on MPEX? Apology for we do not offer MPEX course, but you may check and inquire with DOST’s Manufacturing Productivity Extension for Export Promotion (MPEX) productivity consultancy services. Thanks! We hope these answers all your concerns. Thanks! Looking forward for the 54th Accounting for Non-Accountants (AfNA) to be 6 Saturday schedule please. I would just like to ask when is the next training schedule for ALMA? 11th Advanced Leadership and Management Course (ALMA) is scheduled August 11 to October 20 (11 Saturdays). If you have further questions, you may contact the Training and Entrepreneurship Division at (02) 426-5759 or 928-7076 to 79. Would just like to ask whether you are going to have Food Safety Course in the future. I have seen from your archives that here was once time that you offer this course. Would like request if you can bring it back and level it up to make it a course to qualify individuals to be Food Safety Practitioners or a Food safety Compliance Officer in a commercial setting. Currently there are no Food sSafety-related courses here in the Philippines . Thank you for your interest in our Food Safety Courses. We do have a scheduled Good Manufacturing Practices Course this November 7-9, 2018. As for the certification, we will suggest that to the Training Div for their reference during the next curriculum review of courses. As of now, UP ISSI provides certificates of completion, but we are not yet authorized to certify food safety professionals. Thank you! Do you have another 10th Advanced Leadership and Management Course (ALMA) this October-December? 11th ALMA was scheduled from August 11 to October 20, (11 Saturdays). The next ALMA will be slated by 2019 Training Calendar. Thanks! Hi, is there any chances of another training of Tara na Negosyo? Right after the October 9 scheduled for AFNA, is there already a schedule for the next session? Would like to know when is the next run for the AfNA after the Oct 9 schedule. May I request the brochures of all the courses? I cannot access the links mentioned in the comments. Do you provide customized schedule (Monday-Friday) at your training center for the ALMA course? Good day. May I verify when was the schedule of 1st Data Analytics? May I know the complete details such as syllabus for 1st Lean Six Sigma, etc. Hi Ronnie, You may direct your inquiries to our Training & Entrepreneurship Education Division (TEED) thru email: training.issi@upd.edu.ph or info.issi@up.edu.ph. Thanks! Good day! I would like to know if Financial Management for Entrepreneurship and Investment (FINEST) Course will be offered this year. Hi Jay! 7th FINEST will start on August 17 until September 21, 2019 (6 Saturdays), is still wide open. Good day! I would like to ask if Industrial Relations and Human Resource Management Labor Law will be offered this year. Thank you! For your reference, please check out our Training Calendar for 2019 at http://beta.entrepreneurship.org.ph/2019/01/03/up-issi-training-calendar/. Hi, do you have an overview/course outline of Good Manufacturing Practice? thanks! UPSSI, Why there is no more Technical or Industrial Courses offered. I graduated in one of your Technical Course in the early 2K’s and landed a good job. I may suggest the UPSSI to offer some Technical or Industrial Courses for the non business minded individuals. Hi, may I know the content / outline for Tara Na, Negosyo na! Thank you.